Enabling e-Learning | What's on in Term 3 2018? Tēnā koutou, talofa lava and welcome back to the first day of Term 3. We hope you've all had a restful and rewarding break. Enabling e-Learning is hosting a new array of professional learning opportunities for Term 3, 2018 - a mixture of recorded and live connections with educators like yourselves. We'll continue to focus on examples for how technologies can enhance learning in future focused schools and, at the same time introduce new concepts, understandings and examples of Digital Technologies and Hangarau Matihiko in the curriculum/marau. You may also wish to print off the flyer for your staffroom. Feel free to tell your friends and colleagues! Join us as we discuss the terminology and implications for learning with technologies and learning about technologies and how schools can implement or ready themselves for both. This discussion will be hosted in the Leadership group. We revisit this rich kōrero that unpacks some technologies (as well as emerging technologies) that support Universal Design for Learning principles from the Enabling e-Learning website (TKI). We'll have some educators passionate about UDL on hand to help ask any questions and as always you're welcome to share your own classroom practice. This discussion is hosted in the Teaching group. Join us as we explore the new Digital Technology curricula areas more deeply and in particular, look at the terminology, ideas and examples of the progress outcomes for primary school years 1 - 8. This discussion will be hosted in the Technologies group. A quick overview of updates from Enabling e-Learning content and resources. This discussion is hosted in the Teaching group. Your input and ideas are valued and welcome in all of these forum discussions. This is your community, so please feel free to add your ideas, experience, expertise or wonderings. All events can be found in the Enabling e-Learning calendar. Join us in this Interview with Catherine Johnson (EM Project Lead for Kia Takatū ā-Matihiko National Readiness programme), as we talk about the explanations and understandings about learning with technologies and learning about technologies. There's some useful support resources to help leaders and teachers unpack the new areas of the Technology curriculum - Computational Thinking and Designing and Developing Digital Outcomes. This interview will be hosted in the Leadership group. In this webinar (2015), we look back on exploring UDL - as a way of designing learning for flexible and equitable learning opportunities for those on the fringes of learning. Lynne Silcock elaborates on the principles behind Universal Design for Learning, while Linda Ojala shares specific examples of how she uses the guidelines for UDL when planning for learning in her classroom. This webinar is hosted in the Teaching group. In this webinar (2014), we revisit the stories and experiences from Julie Lindsay, Linda Ojala and Tim Gander, on ways teachers can collaborate and design learning experiences (enabled by technologies) that genuinely position learners at the heart of learning. This webinar is hosted in the Teaching group. They've all flipped out at Ashhurst School. Join us as we chat with Heath Chittendon, Principal of Ashhurst School about their initiative to introduce flipped learning for all of their students. If you're interested in how this looks, how it can be managed and the benefits for using technologies to support learning this way, Join us. This webinar is hosted in then Teaching group. Join us in this interview with Muritai staff as they talk about the difference Makerspace is having on the students at their school. If you starting out or wanting more ideas on ways to integrate design learning, and Digital Technologies into the curriculum, come and join us as we host this event in the Teaching group. 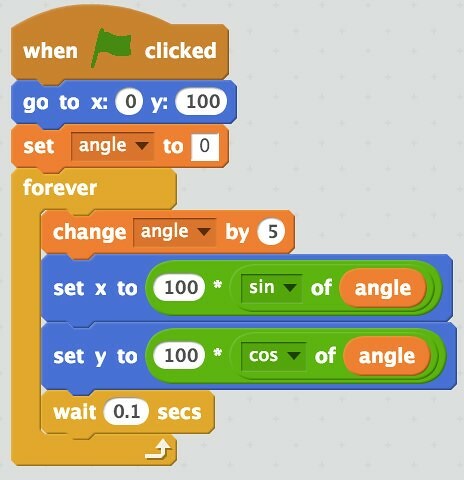 We highlight this webinar (2017) and take a step by step look at the digital programme Scratch - with some some practical examples, top tips for educators and talk about how simple programming in Scratch can help students become creators/programmers using simple block coding tools. Enjoy our regular digest of e-learning from across the VLN groups communities. Published every fortnight - straight to you! Every member of the Enabling e-Learning group receives this via email.